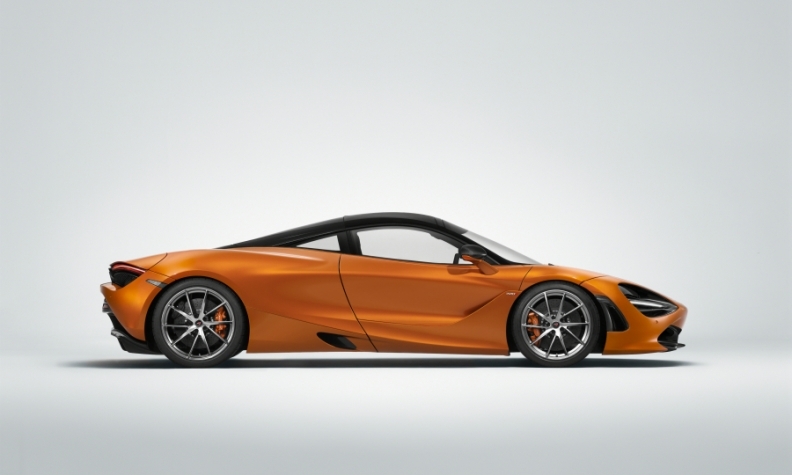 New models such as the 720S will boost McLaren sales. LONDON -- McLaren Automotive expects to post another record performance this year after reporting a 70 percent increase in pre-tax profits in 2016 on record vehicle sales. Sales doubled to 3,286 vehicles in last year and profit rise by 70 percent to 9.2 million pounds ($12 million), the UK supercar maker said in a statement on Thursday. New models such as the 720S are expected to drive further growth. Jolyon Nash, director for sales and marketing, said he expected another all-time high this year. "Having the new, second-generation Super Series and the first-ever Sports Series convertible in showrooms will give every one of the 80 McLaren retailers worldwide the opportunity to contribute strongly to another record year," he said. McLaren expects to reach sales of 4,500 vehicles by the end of 2022, with at least half equipped with hybrid powertrains. The carmaker said earlier this year it would create 200 jobs as part of a 50 million pounds investment to build carbon-fiber chassis systems in northern England, its first purpose-built site away from its headquarters in the southern English town of Woking. McLaren was founded in 1963 by Bruce McLaren and is known for winning Formula 1 titles with drivers such as Lewis Hamilton. It set up a separate sports-car maker known as McLaren Automotive in 2010 to rival the likes of Ferrari and Aston Martin.